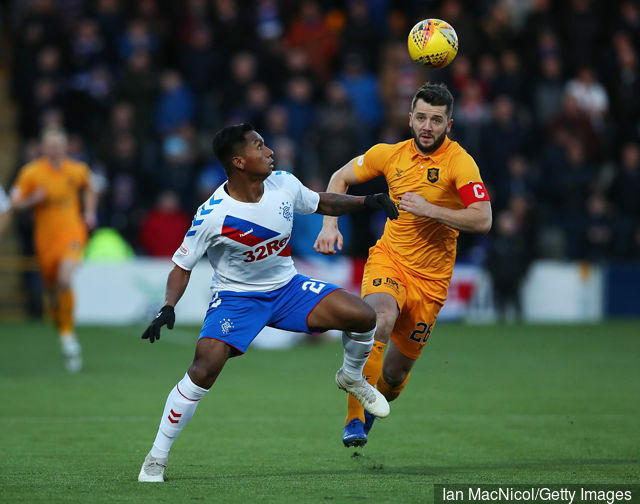 The battle for Rangers’ star man Alfredo Morelos has increased yet further with Turkish reports Fenerbahce chief Ersun Yanal has made the Colombian international his number one target, having whittled down his options from a shortlist of four. The Mediterranean giants were heavily linked to Morelos last year, and sources suggested to Ibrox Noise that that interest hadn’t weaned at all, as we brought to you recently. Meanwhile, despite Brendan Rodgers’ vague rhetoric, Leicester remain interested in the former Helsinki man’s services, and these two are by no means the only sides monitoring the in-demand striker. German giants Eintrach Frankfurt, Borussia Dortmund and RB Leipzig are at least three of the Bundesliga outfits credited with an interest in Morelos, with the former confirmed as having sent at least one scout to watch him. National manager Carlos Queiroz may well have taken in his performance and superb goal v Killie hence his second call up to the Coffee Men, and he made what he could of his brief cameo. As a clutch of clubs circle around Morelos, we make that at least five wealthy names who have been linked with making a move this summer – and unless Nacho Novo (and others) managed to persuade the hitman to dramatically change his mind over a big-money transfer, Fenerbahce (and others) will come closer to clinching him. Incidentally the Turks’ DoF Damien Comolli is reported to be instigating talks imminently. It's all good. On a separate note, did you hear about Gary Mc, getting beat up in Leeds, whilst waiting for a taxi? Bastards!! The more clubs that show an interest the better as it will drive up the price. We need to use the money to bring in better, more flexible alternatives so that we aren't totally dependent on one irrational striker.